Product prices and availability are accurate as of 2019-04-12 08:49:46 EDT and are subject to change. Any price and availability information displayed on http://www.amazon.com/ at the time of purchase will apply to the purchase of this product. 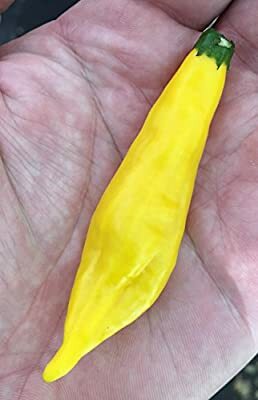 The lemon drop pepper, ají limon, is a hot, citrus-like, lemon-flavored pepper which is a popular seasoning pepper in Peru, where it is known as kellu uchu. It is also known as 'hot lemon'. 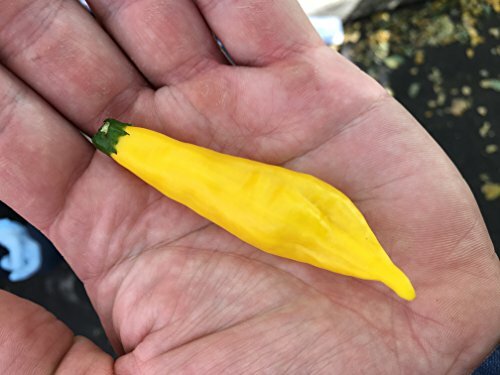 The bright yellow, crinkled, cone-shaped fruits are about 2.5 in long and 0.5 in wide, and mature from green to yellow about 100 days after transplanting (long season), they have fewer seeds than the average pepper, containing 15 on average. The plant is vine-like, typically reaching a height of about 3 ft. Like other C. baccatum species, these peppers were practically unknown in the West until the early 1990s, but are now gaining wide popularity.